We are proud to present our Yoga Alliance approve 200 HR In Depth Yoga Studies & Teacher’s Training Program. The curriculum in designed to deepen your knowledge and application of Asana, Pranayama, Meditation, Sanskrit, Yoga Philosophy & Ayurveda. The faculty has more than 30 years of combined study & practice with Yoga Masters, and teachings rooted in the Viniyoga lineage from Krisnamacarya (and his ancestor Nathamuni), and in the Himalayan Tantric Sri Vydia lineage by Parayoga. Upon completing the training you will have the knowledge to build your own personal practice, deepen your understanding in Yoga and establish a profound foundation for spiritual growth in tradition. Additionally, you will have the tools to sequence and teach a safe class both in a private and group settings. 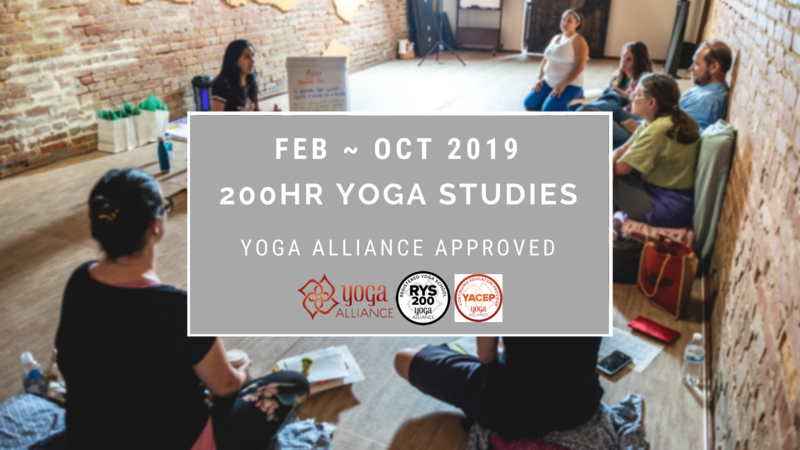 Graduates will be eligible to become 200HR Yoga Alliance Certified Teachers, once all courses and homework have been completed. Additionally, anyone who is already a 200HR Yoga Teacher, is welcome to attend as many individual modules as Continuing Education. Option 1, Pay in full. Best price! $1800 + $150 registration fee. This option closes on January 30, 2019. Option 2: Payment plan: $500 deposit by Dec 15, 2018 and 3 payments of $600 each due by Feb 15, May 15 & Aug 15. Participants enrolling with options 1 & 2 are eligible to get 50% discount in membership of your choice. The discount begins on the day we receive your deposit/payment and last thru October 21, 2019. Option 3, Pay as you go: $400 per module. Early bird $325 if paid in full 30 days before each module begins. 50% discount for graduates of our previous 200HR training: this applies to both repeating the whole 200HRS or attending individual modules as Credits for Continuing Education.